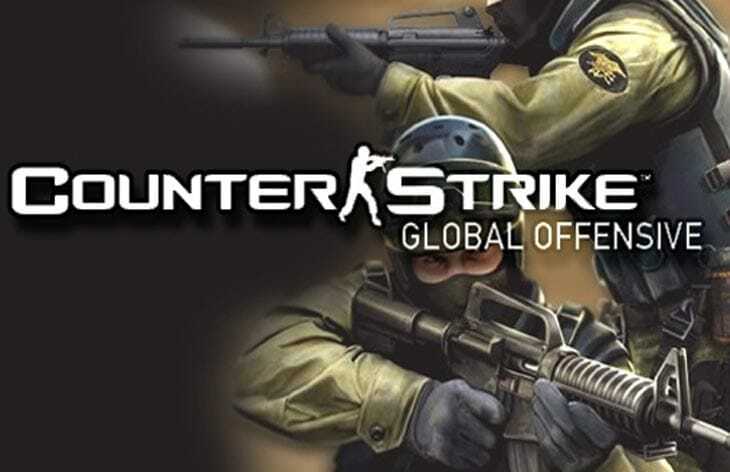 Counter-Strike has a massive following with Global Offensive the latest release turning out to be hugely popular. When CS GO servers are down however, it will lead to gamers hunting for an ETA on when they will come back up. Also if CSGO is down today then it might be due to server maintenance and details about that schedule might be unknown to some of the community. This tactical first-person shooter keeps players updated to server status via social channels, but these don’t always offer the latest news on downtime or unplanned outages. This is why you can leave your comments about any current problems with Counter-Strike: Global Offensive, or read feedback and help others from this community of gamers. Is CSGO down on Thursday April 25, 2019? Leave a comment with your location and CS GO server status if you’re experiencing an outage, or any other problems. Our editors will also update below with official statements and maintenance from Valve, so if there’s something we missed please detail it below. What is happening? It won’t connect to cs go network? Is it down for today or? I’m in South Africa. SEA server down too!! it say connecting!! All servers in SA is down. IT SAYS CANNOT CONNECT TO OFFICIAL SERVER! then it returns to desktop ! WTF IS THIS ? stuck because of matchmaking unavailable please fix this problem! In Brazil Everybody is getting oscillating pings on cs go servers. Ping suddenly jumps from 10 to 150 and is very constant. Everyone here from Brazil is complaining and we did not get any response from valve. It doesnâ€™t find anything, wtf? February 20 servers down? I waited 30 minutes to find one and nothing came up. I’m in Australia, Melbourne. jan 31 2018. im in las vegas NV having unusally high ping since yesterday. i have tryed everything. and its laggy only for csgo and cs1.6. Matchmaking isnt working. It always says confirming match for a long time, then it would say you didn’t accept even though there was no accept button. Australia, Brisbane 11:30PM. When competitive matches are found, it will tell you yet no ACCEPT tab will appear. It has been this way for about 24 hours. If you spam the middle of the “matchmaking timer screen” where the ACCEPT tab usually pops up, you can accept yet others do not know of this so you most probably will always be searching over and over as players are being kicked off for not being able to ready up. I found one game by chance and the ACCEPT tab popped up yet this only happened once. For now you should just wait till the servers are up again, Shouldn’t be long. I’m in the US, today is November 7th, 2017. CS:GO says I’m offline and my steam CS:GO inventory won’t load. I’m in UK , first 2 rounds in the game was fine, but in the middle of round 2 there was a massive 20 seconds lag spike. After that my ping raised to 1540 and then it disconnected me from the server in the 3rd round. I put to reconnect but then an error came up Matchmaking not available. I’m in Copenhagen, Denmark and can’t connect to any servers as well. cs go mm down as well as checking inventory probably due to the nerf on the negav is my guess. anyone else heard of anything occuring? No the Negev stats are ok I think they are more fair now. They might be fixing bugs or adding new items or skins. Maybe something else like when the sprays came out. “DDOS Hack” …. DDOS is not a hack attack of any kind…. It is an overload attack, and no it is not “On steam” Because only CS:GO is affected. CS Go server outage on August 12. Lots of players can’t connect, me included. Anyone else? I have a connection to Steam but not to the CS servers. Cant even look at my iventory. I think the game servers are down again, how do I check? I think they are down again, how do I check? Think it’s working again, well at least for me anyways. NYC. Still broken for me, can’t reconnect. Is CSGO still down, couldn’t get on a little earlier and was wondering before I boot it up?